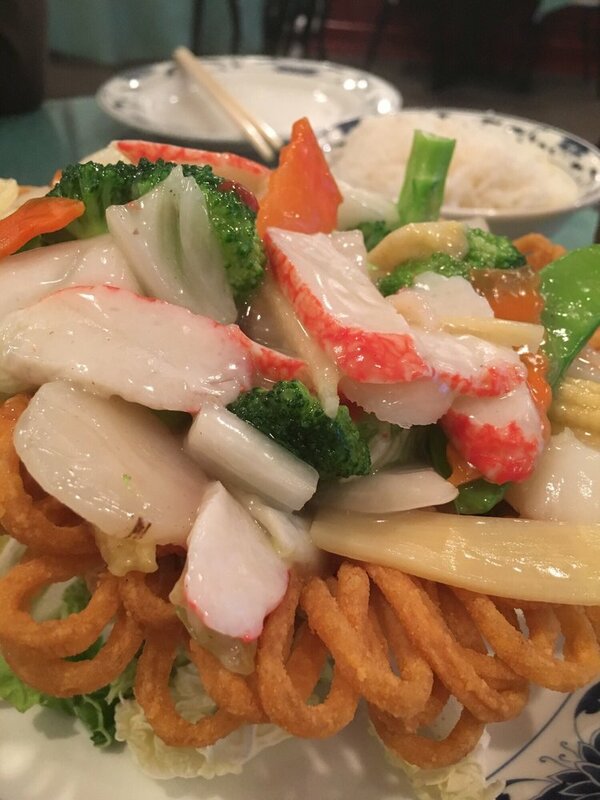 Located at 11959 Lebanon Rd, Sharonville, OH 45241, the restaurant offers a wide array of authentic Chinese Food, such as General Tso's Chicken, Mu Shu Pork, Crispy Duck, Pot Stickers, Seafood Pan Fried Noodles, Stir Fried Potato Slices. Try delicious food and service today. Come in for a Chinese Lunch Special or during evenings for a delicious dinner. If you have any suggestion to the food or service, please go to the customer feedback page and leave your suggestion or review. They will respond to your suggestion as soon as possible. Amazing authentic home-cooked food and so very inexpensive. Not a glammed up place but one of our go-tos for our fave dishes, including bean curd with pork, water spinach, and sweet sticky rice (those are my attempts to translate the Chinese names). If you know what to order (go with the authentic side of the menu, and if you're unsure which dishes fit that category bring a friend who could help! ), you'll love this place that is on par with many of the best in Flushing NY. As far as service, they've been wonderful every time so I can't really reconcile some of the other reviews I've read. This place is literally the best Chinese breakfast spot I have ever tried in the United States. As a Chinese, I have very high standard of what good breakfast meal is and everything on the menu is perfect: little wonton soup gives you a warm feeling in your stomach; the egg/beef wrap is perfect but not very oily, it comes with a little dish of soy sauce as well. The fried stick, a typical Chinese traditional breakfast item, is definitely worth trying. The rice bun is a fried stick, some "Chinese pickles" and pulled pork wrapped in rice!!! There is no flaw in this place, it's perfect, it serves for my biggest cravings of all time. I don't understand why people not giving this place a full star, because they do not understand the beauty of Chinese breakfast? Time to learn. I love this restaurant and their Chinese breakfast. My boyfriend is Chinese and I'm not, so I'd never had Chinese breakfast until he brought me here. I tell everyone about this place. We recently went to Beijing on vacation, and the food here at House of Sun is yummy and authentic. I've never tried their Americanized Chinese food, so I can't comment on that. For dinner here, I love the ginger fish and Taiwanese soup. My boyfriend has been coming to this place for years because their food is more authentic and relatively close to his home. He does the ordering for us in Chinese so I'm always surprised by what comes to the table. So far, I have enjoyed every dish. We have one server there that knows us well and is very friendly. She speaks English to me but not very well I think. There is another server there who is not as friendly. Nice clean fast and welcoming. They have two menus. One is more traditional Chinese food with some exotics like jellyfish and the other is standard Americanized Chinese food. The seafood and bean curd soup was generous and flavorful. The tea was hot and well bodied tea using a nice portion of tea leaves. The birds nest was very fun and presented well on the table. This site is in no way affiliated with or endorsed by House Of Sun Chinese restaurant. It exists as a compendium of supporting information intended for informational purposes only.